BRAND NEW IN BOXH&R Lowering SpringsMake : AudiModel : A4 RS4 SALOON ONLY "B7" chassis typeEngin.. BRAND NEW IN BOXH&R Lowering SpringsMake : AudiModel : TT Mk2 Coupe Engine : all petrol and.. BRAND NEW IN BOXH&R Lowering SpringsMake : Fiat Model : 500 AbarthEngine : 1.4 turboYear : .. 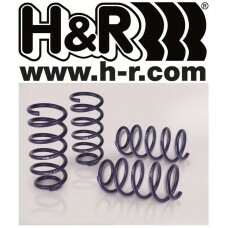 BRAND NEW IN BOXH&R SPORTS LOWERING SPRINGSVauxhall Corsa 'D' 2006 onwards 1.6 Turbo VXR modelsM.. BRAND NEW IN BOXH&R Lowering SpringsMake : AudiModel : S3 8P QuattroType : 3DR Hatchback and 5 d.. BRAND NEW IN BOXH&R Lowering SpringsMake : FordModel : Focus MK2 RSType : HatchbackEngine : 2.5Y.. BRAND NEW IN BOXH&R Lowering SpringsMake : RenaultModel : Clio MK3 RS Type : HatchbackEngin.. BRAND NEW IN BOXH&R Lowering SpringsMake : VolkswagenModel : Golf MK5 Type : HatchbackEngin.. BRAND NEW IN BOXH&R Lowering SpringsMake : VolkswagenModel : GolfType : HatchbackEngine : 3.2 V6.. BRAND NEW IN BOXH&R Lowering SpringsMake : VWModel : Polo 6RType : HatchbackEngine : 1.2 Ye.. BRAND NEW IN BOXH&R Lowering SpringsMake : VWModel : Scirocco MK3Type : CoupeEngine : 2.0 TDiYea.. BRAND NEW IN BOXH&R Luxury Lowering Springs Aston Martin V8 Vantage Coupe 05 On 20/20mm 29108-1L.. BRAND NEW IN BOXH&R Luxury Lowering Springs BMW M5 E60 Touring 07-10 35/--mm 29143-2Lowers appro.. BRAND NEW IN BOXH&R Luxury Lowering Springs Jaguar X-Type 4WD 2001-2009 35/35mm 29351-1Lowe.. BRAND NEW IN BOXH&R Luxury Lowering Springs Maserati Ghibli 3 2013onwards 35/35mm 28801-1Lowers ..